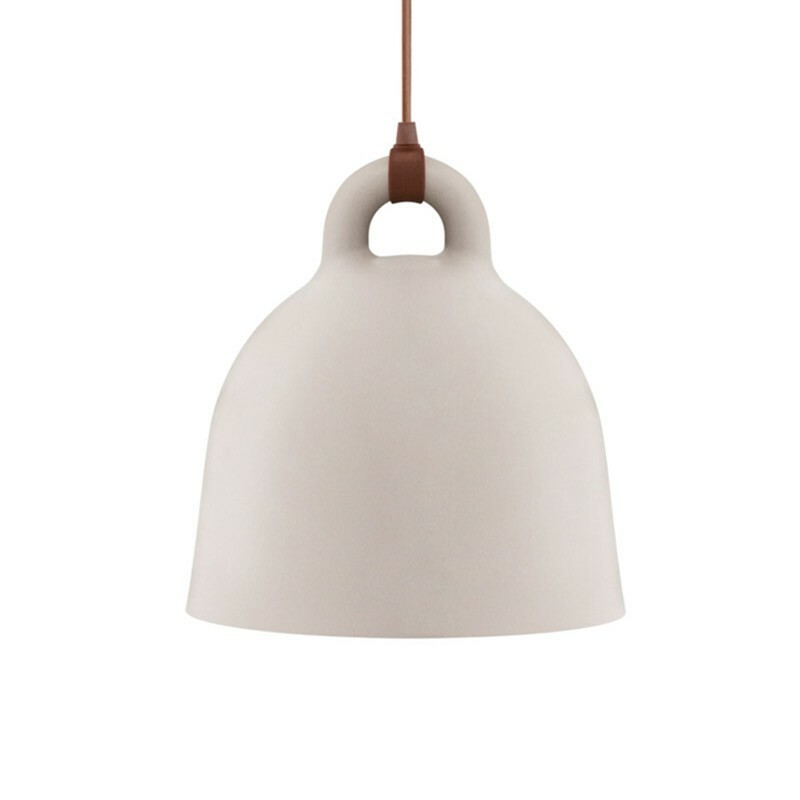 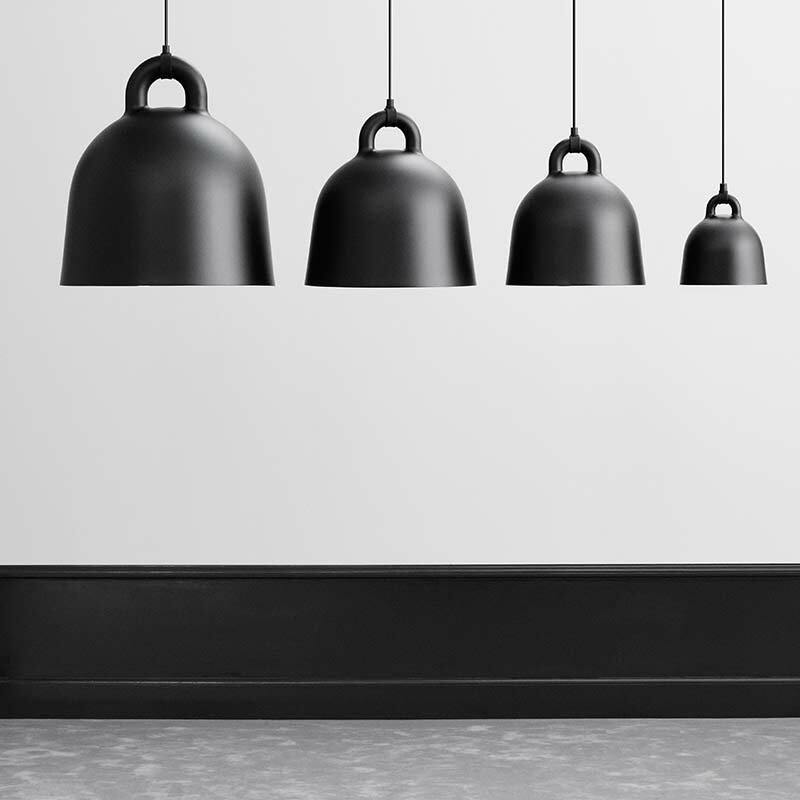 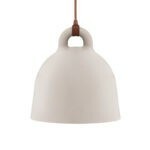 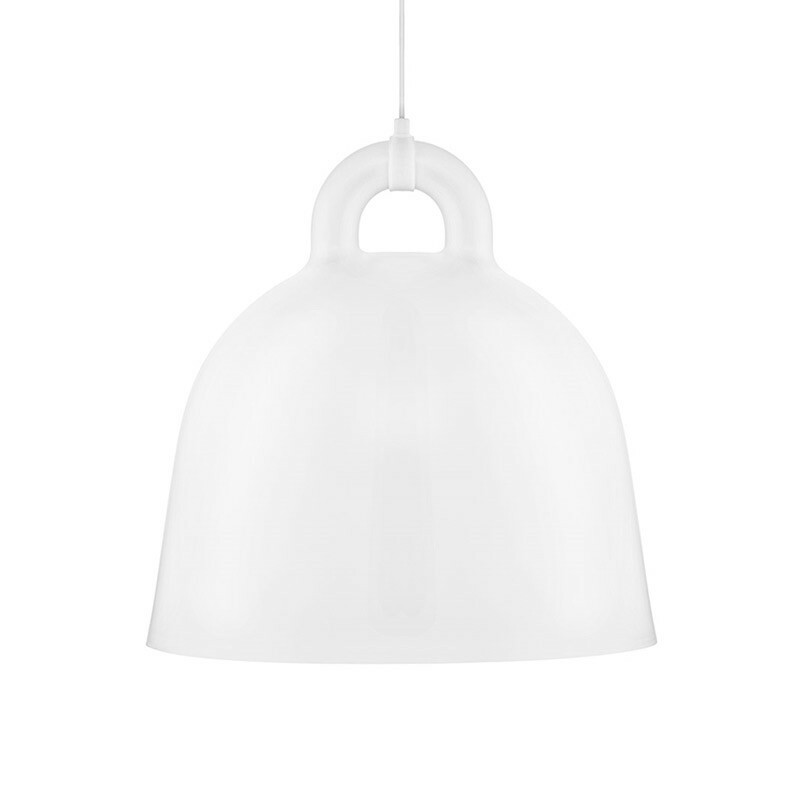 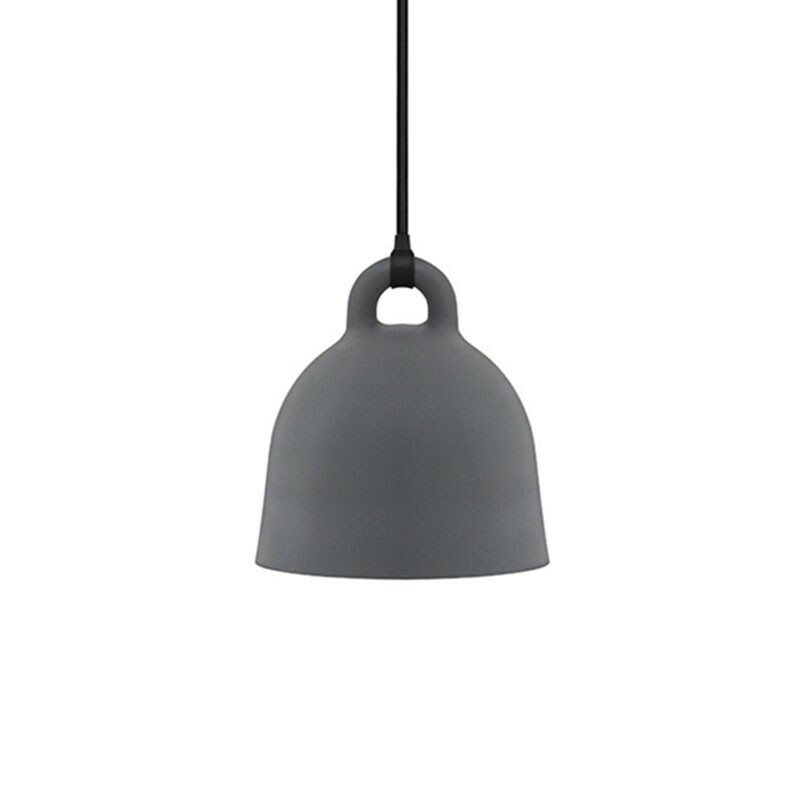 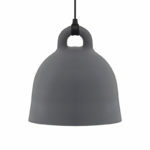 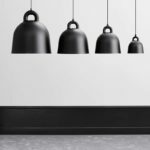 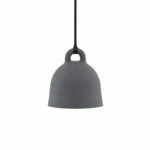 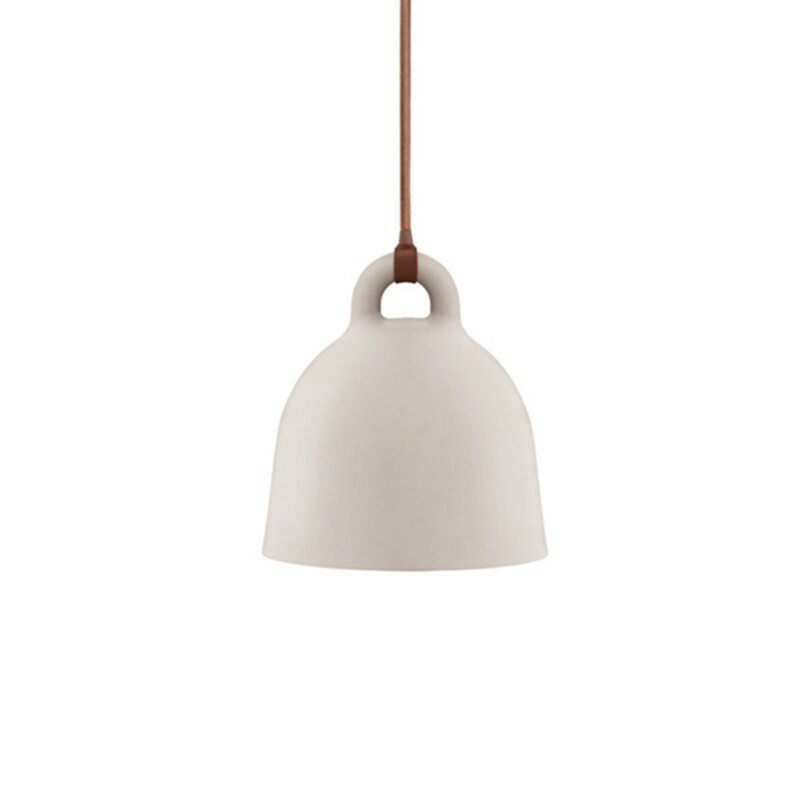 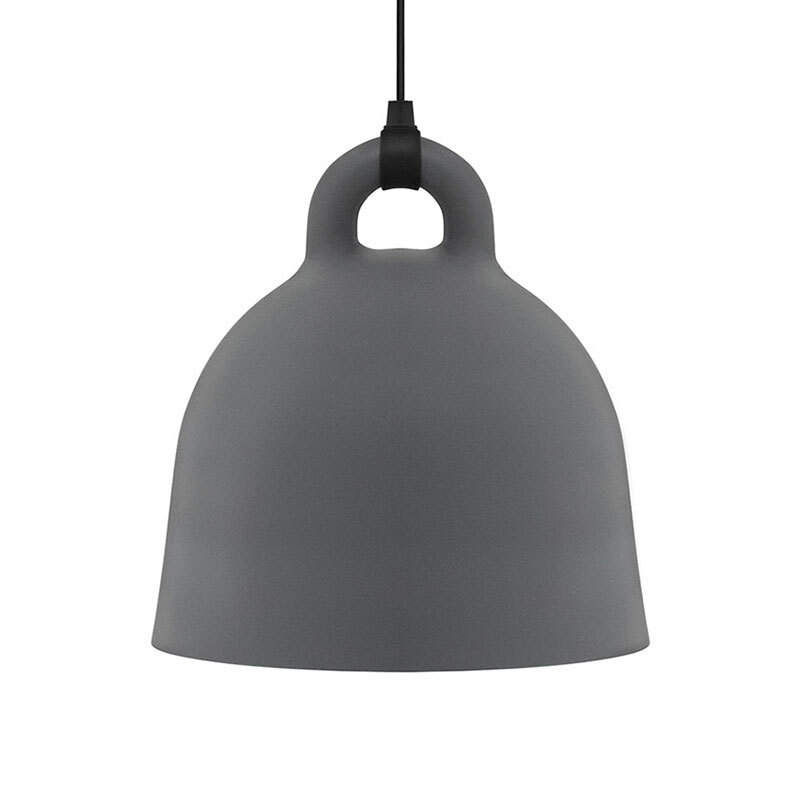 Normann Copenhagen’s Bell Pendant Light is robust, the form is simple. 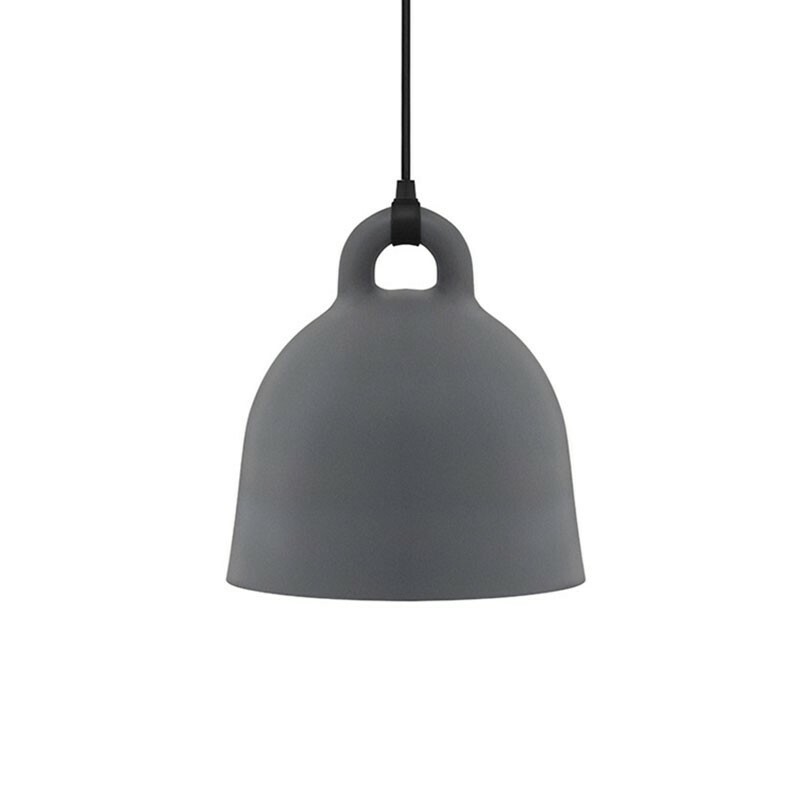 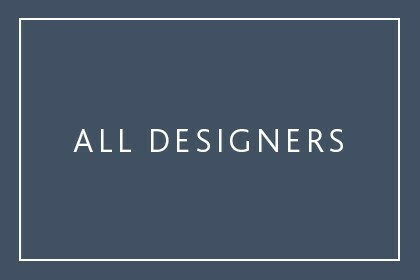 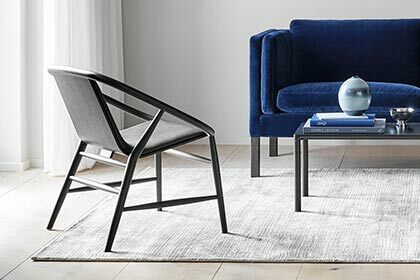 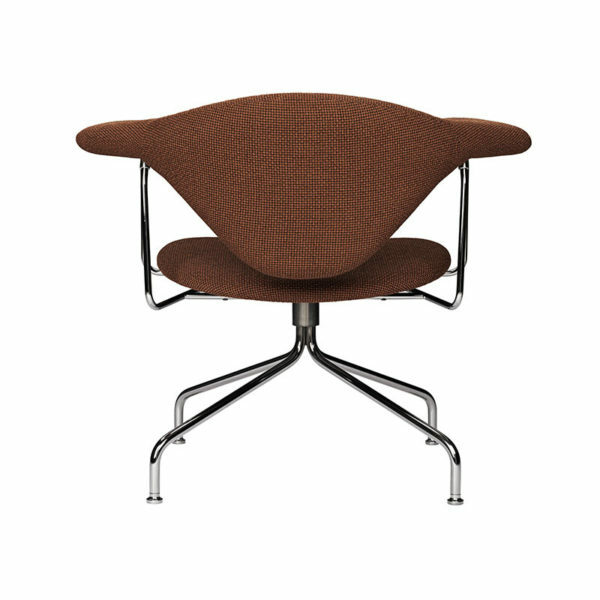 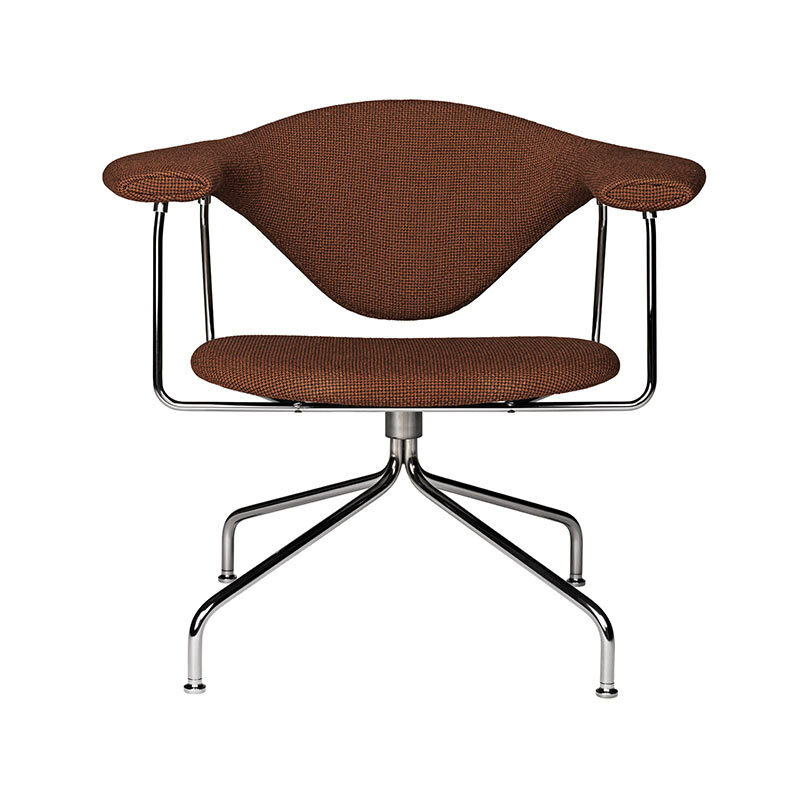 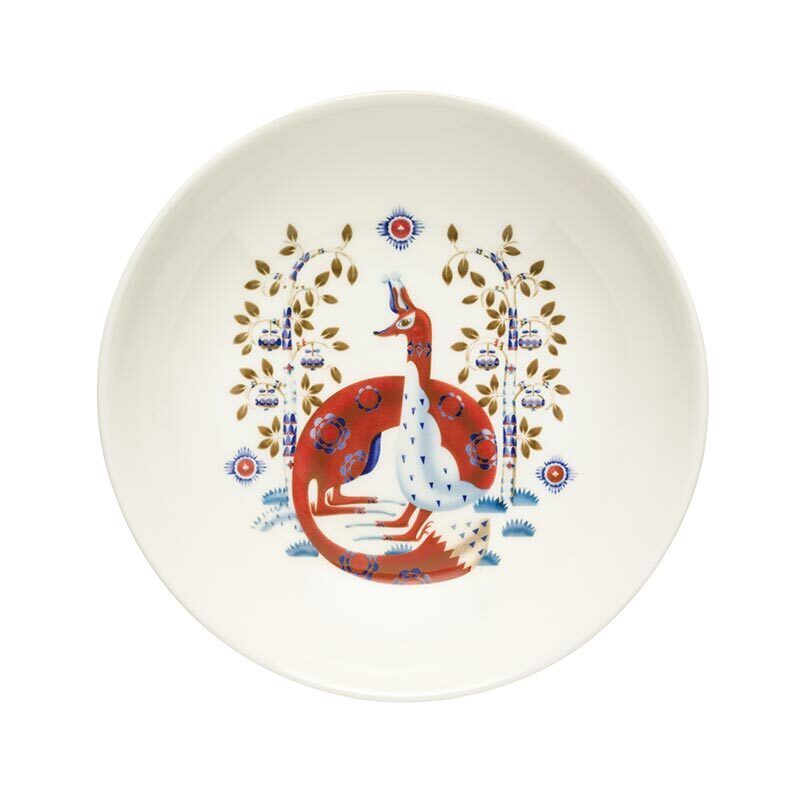 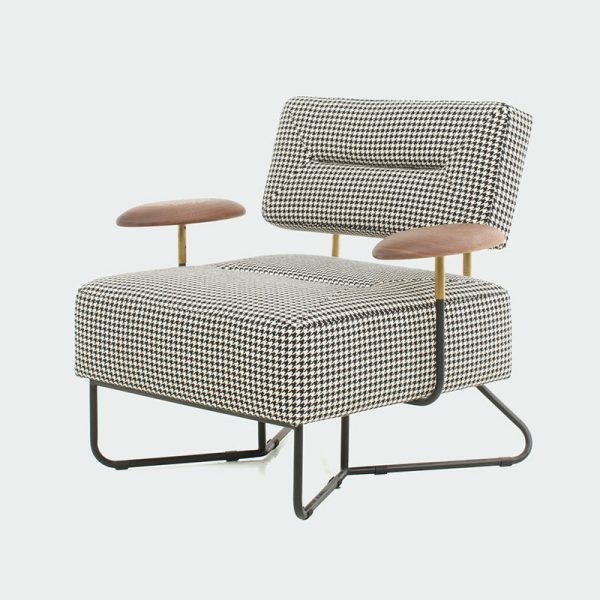 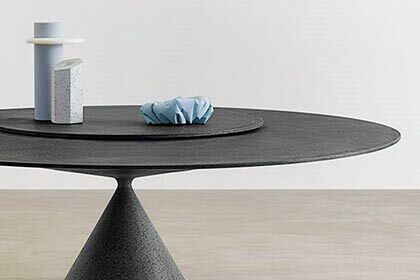 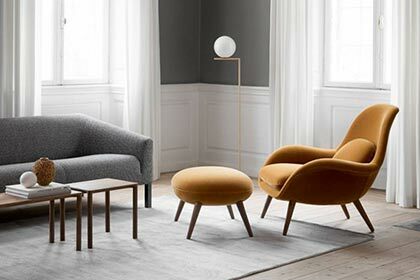 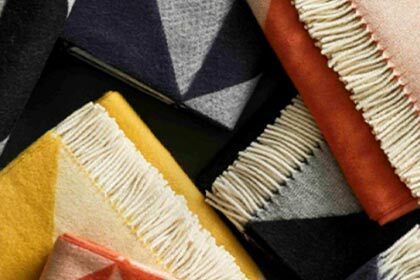 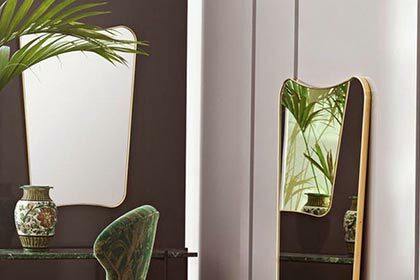 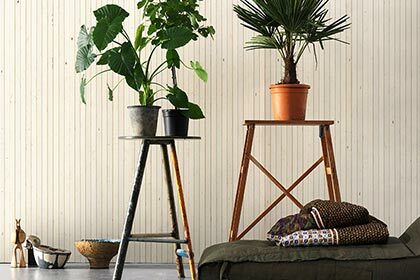 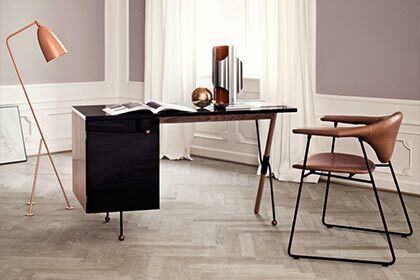 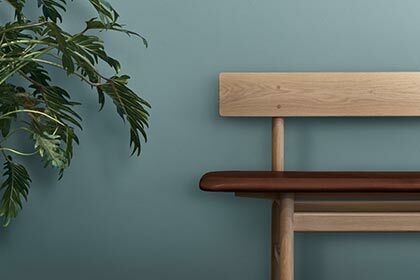 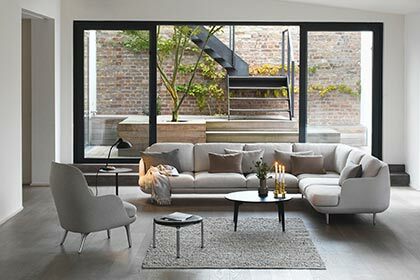 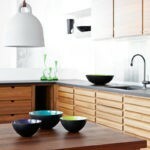 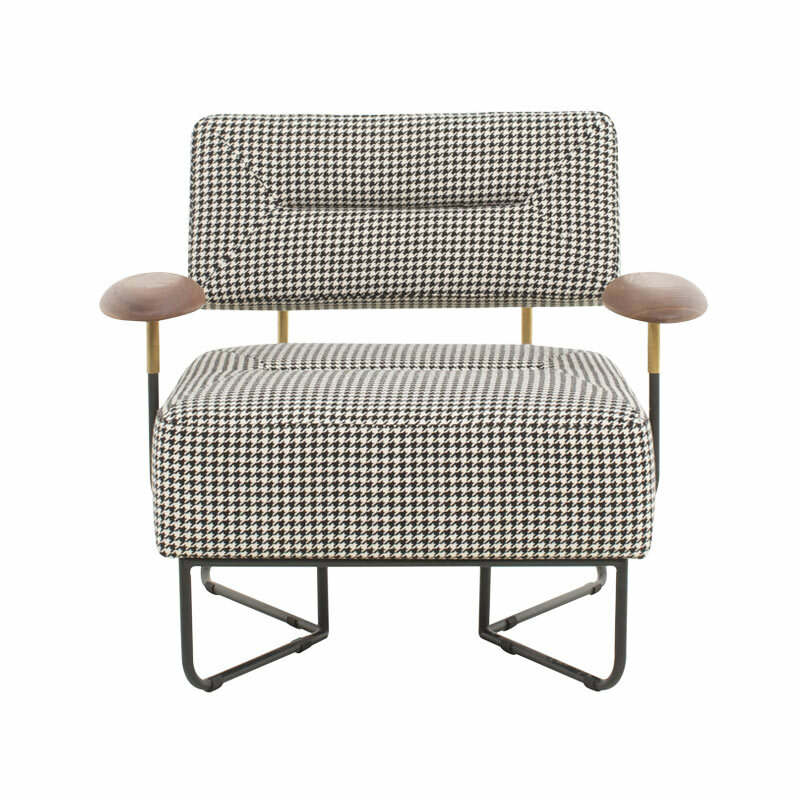 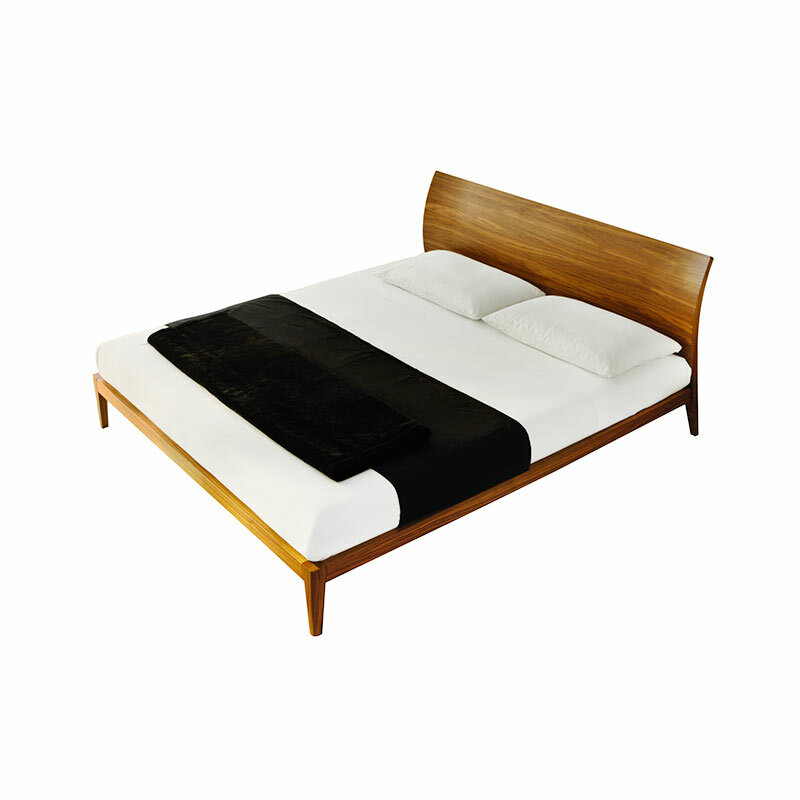 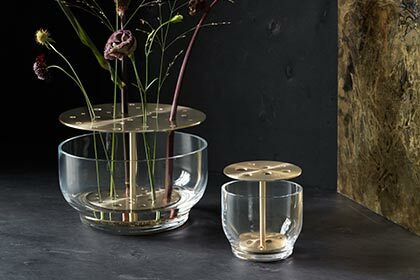 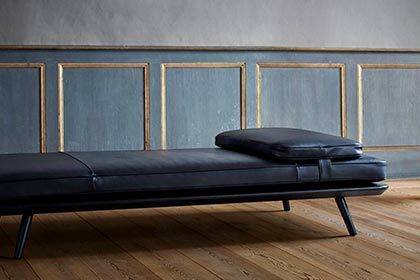 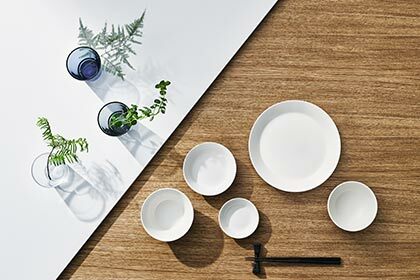 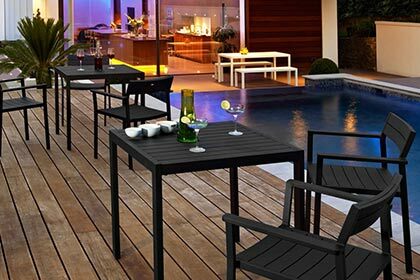 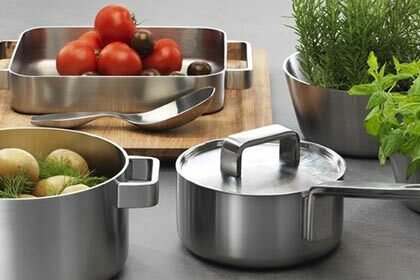 Designed by Andreas Lund and Jacob Rudbeck to be amiable yet industrial; perfect for any home décor. 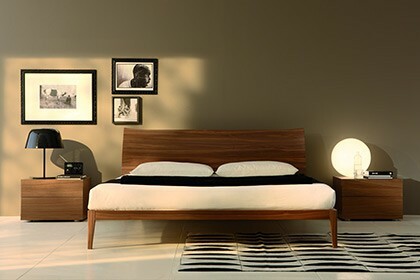 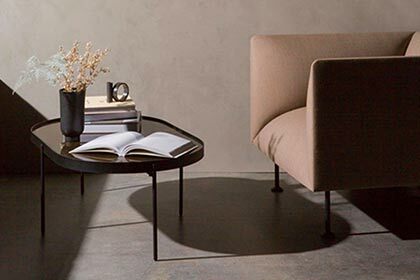 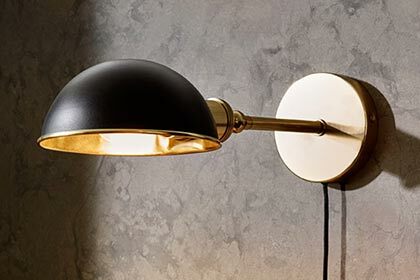 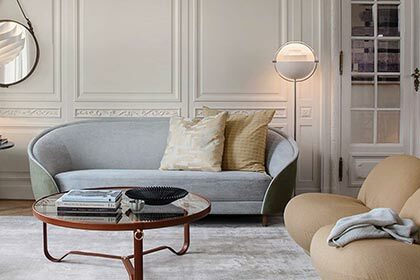 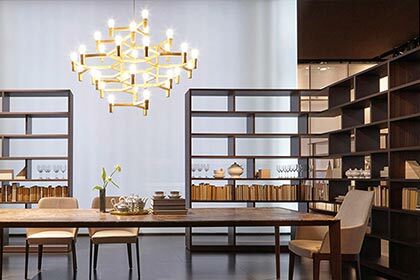 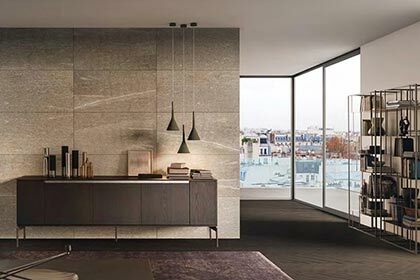 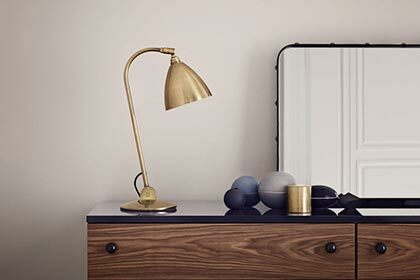 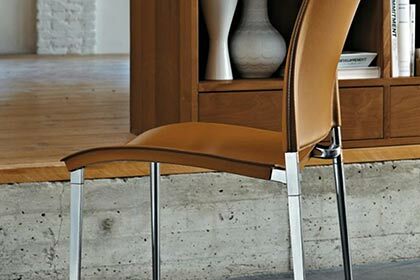 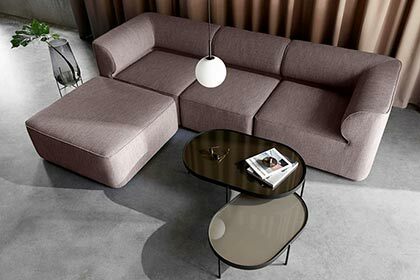 The lamp’s rounded silhouette and matt surface give it the impression of having been cast. The white inner side reflects the light, which falls like a cone and provides practical lighting for several purposes. 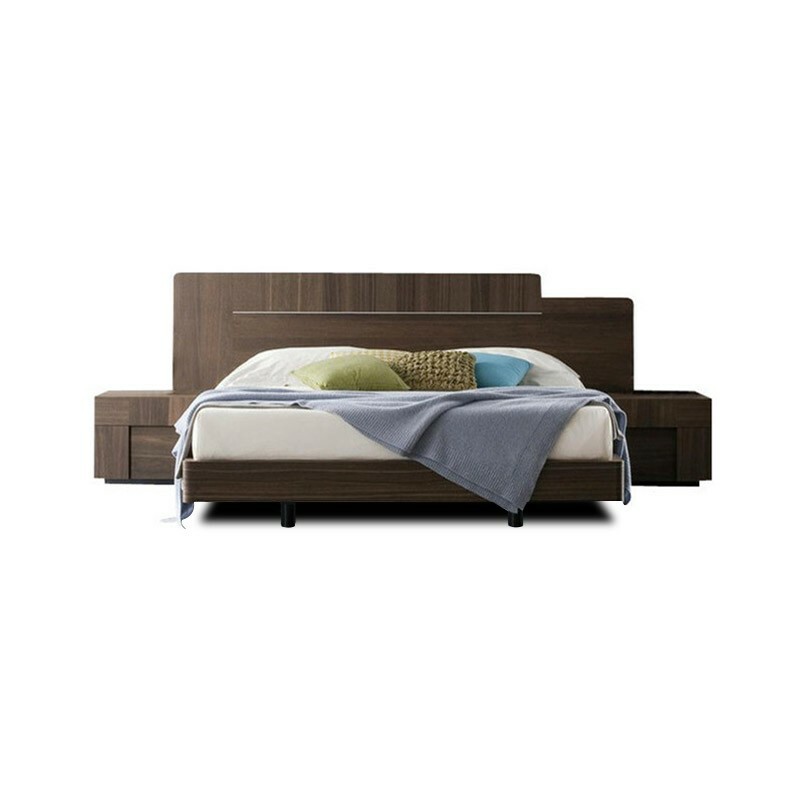 X-small EU: G9 Halogen (included). 20 Watt bulbs are recommended. Small, Medium, Large EU: E27 (big socket). 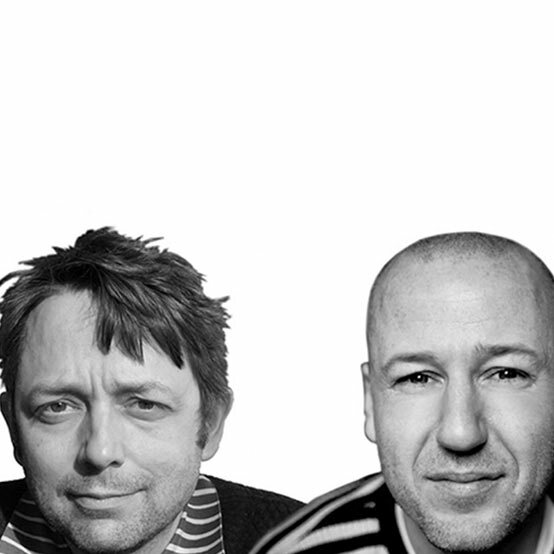 Small, Medium, Large US: E26 (big socket). 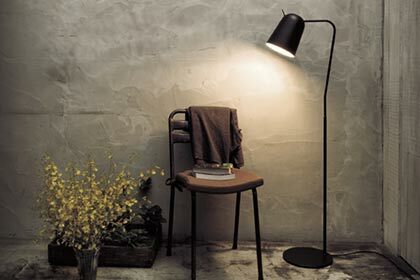 Low-energy 9 Watt bulbs are recommended. 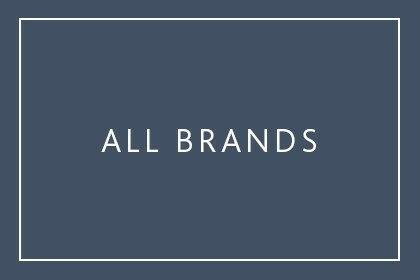 4 m textile cord. 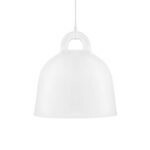 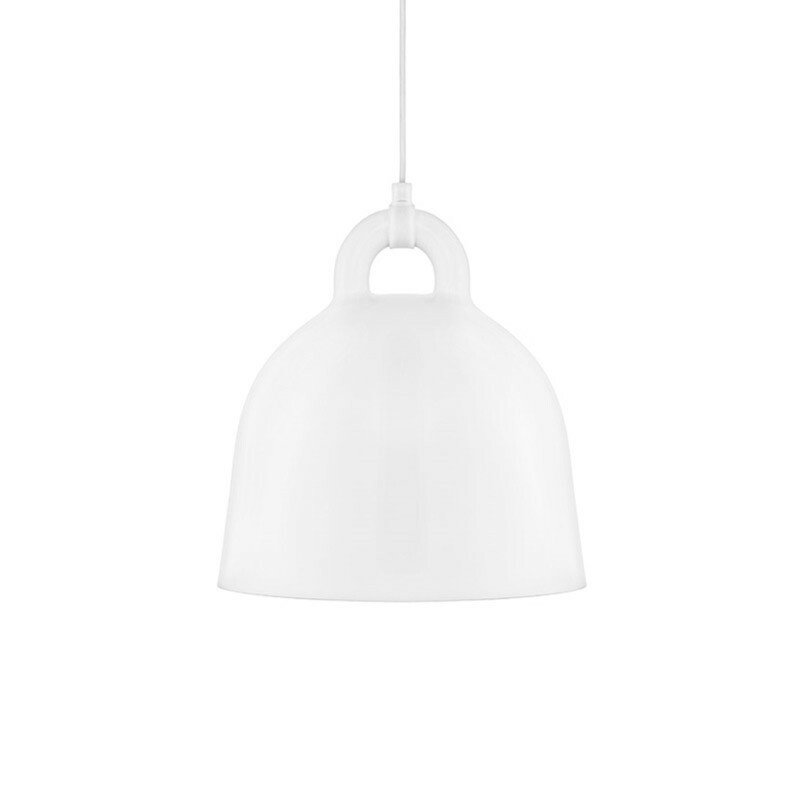 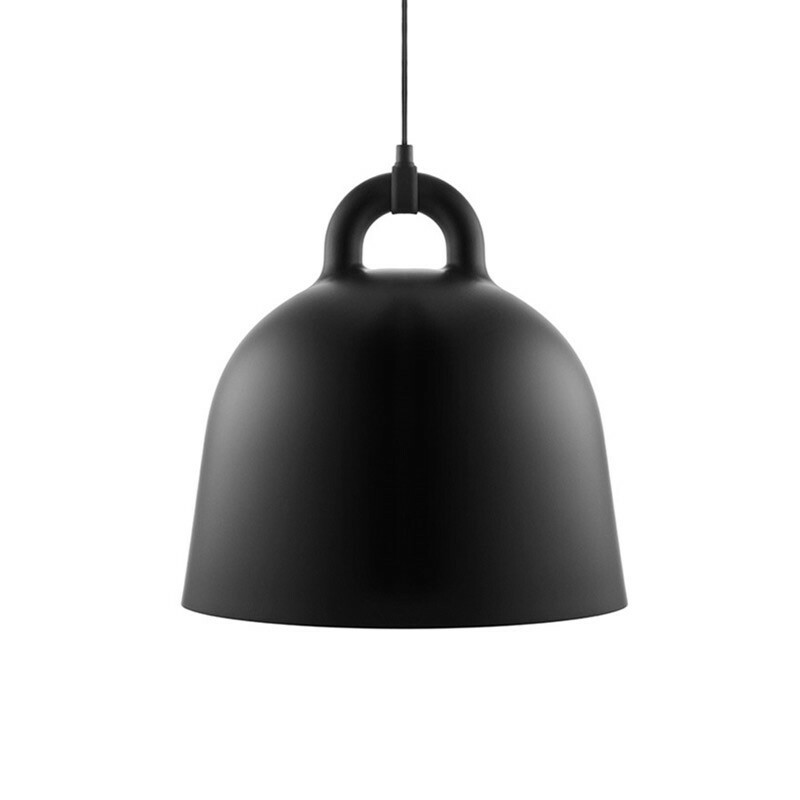 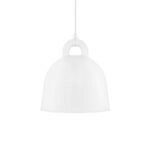 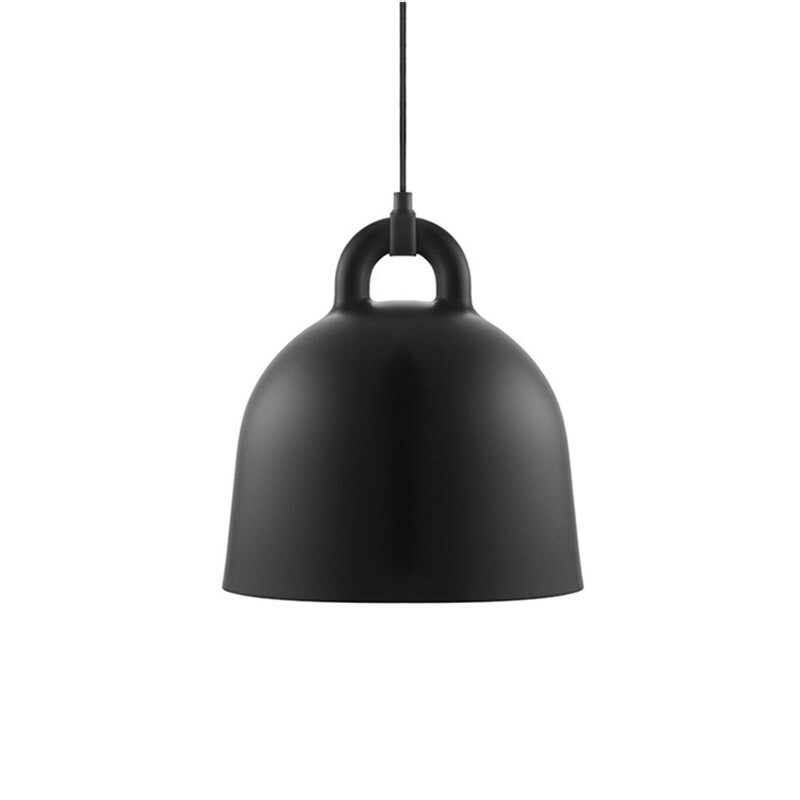 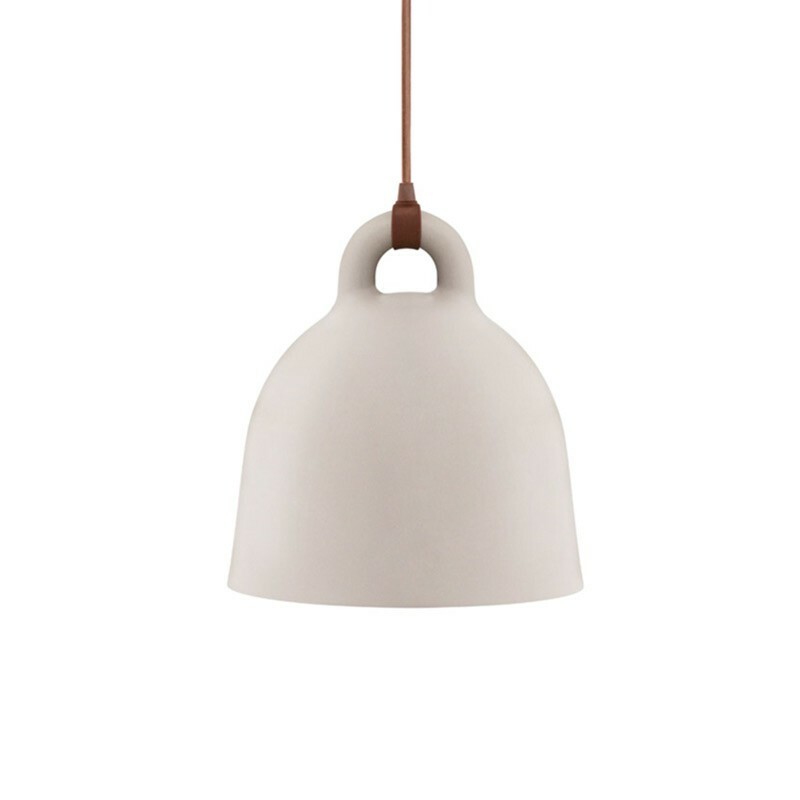 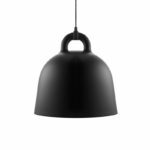 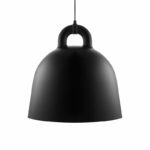 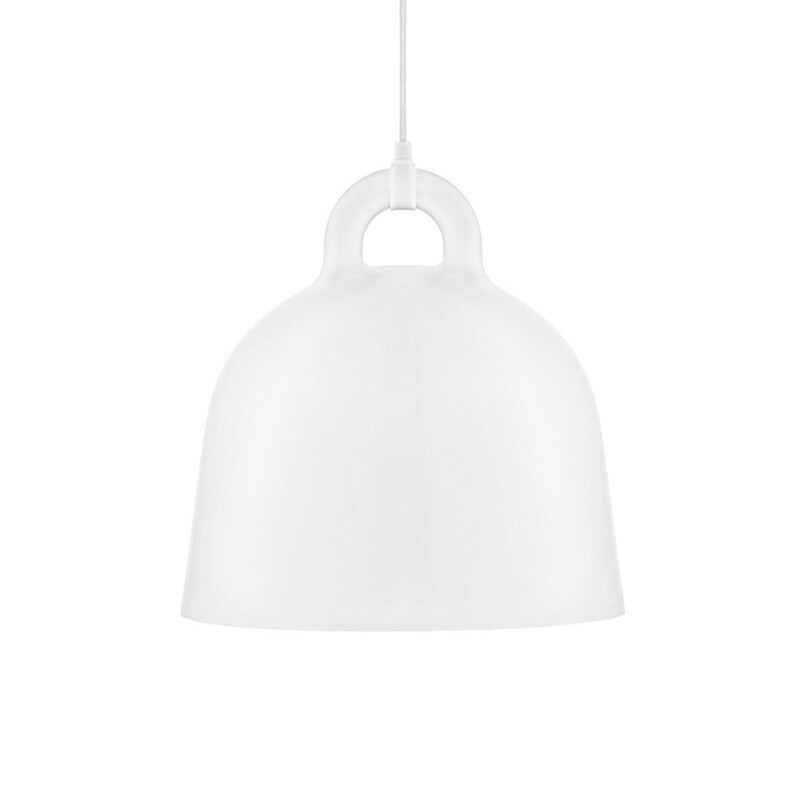 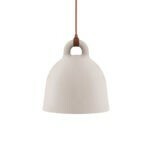 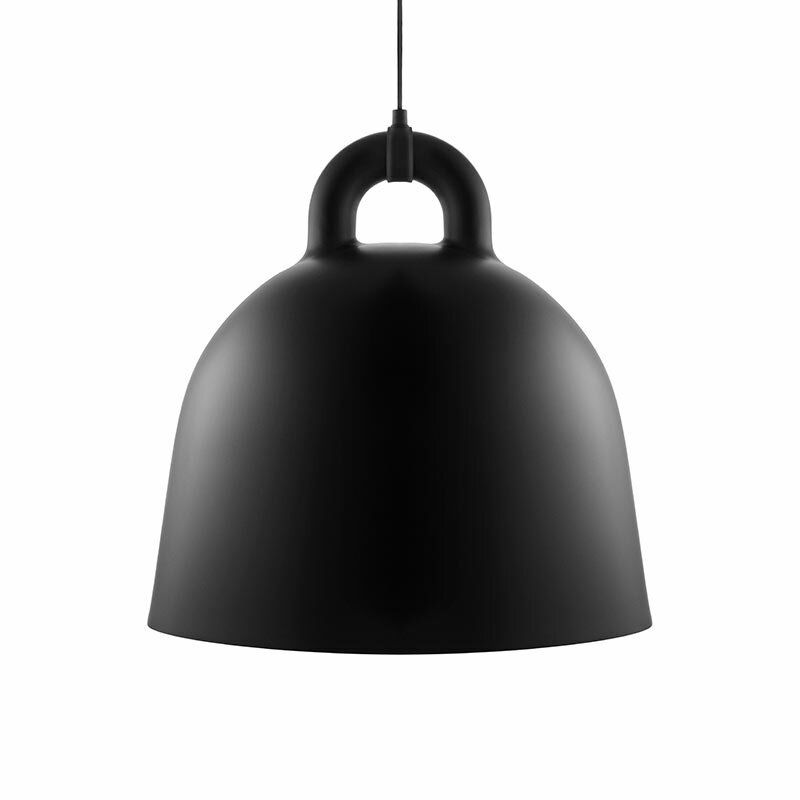 Bell Lamp in White and Black version have matching cords and canopies. 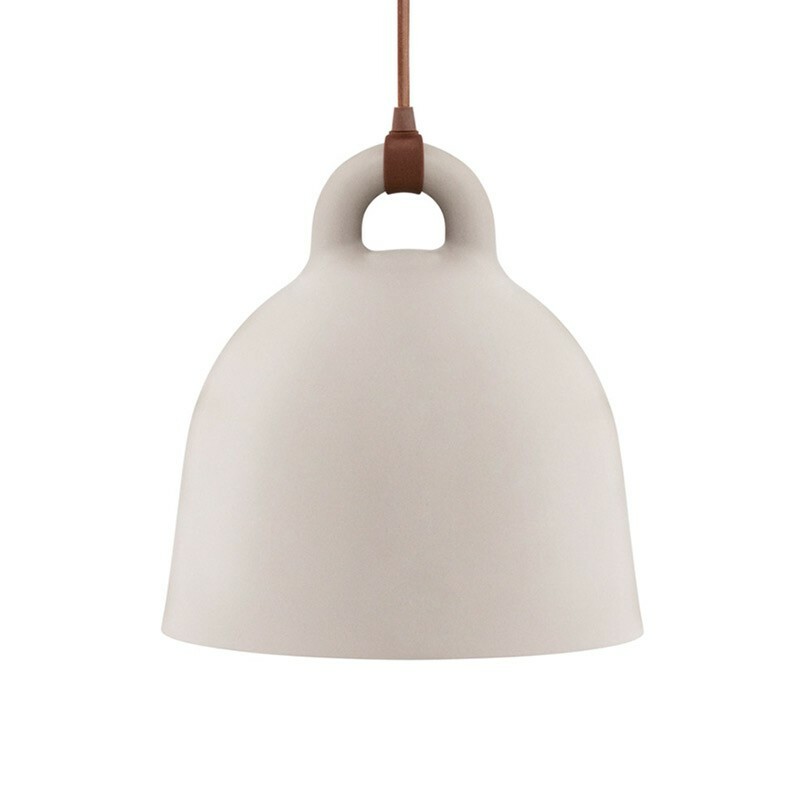 Bell Lamp Sand has a brown cord and white canopy. 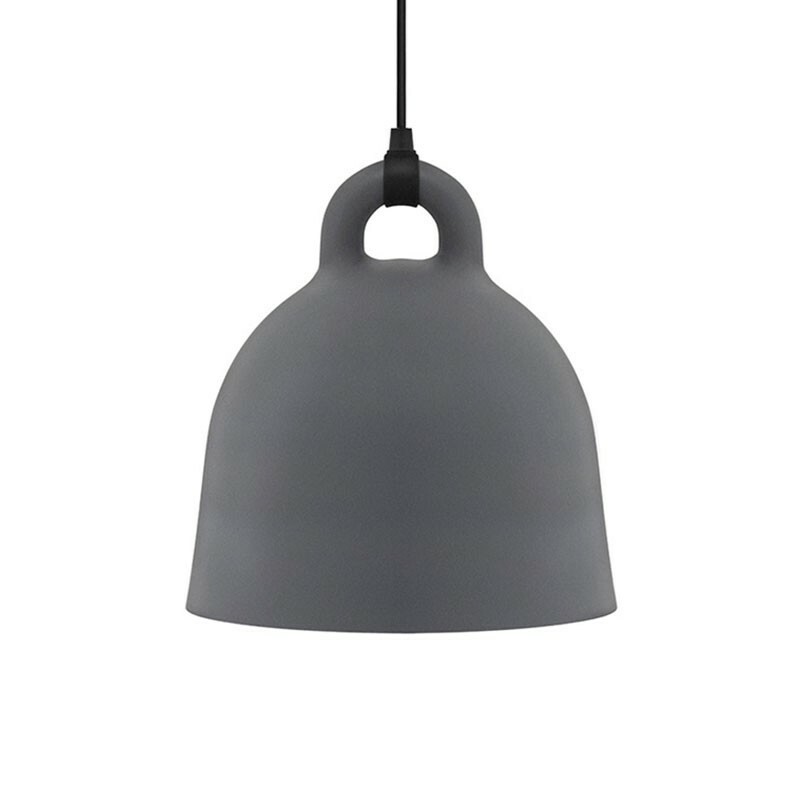 Bell Lmap Grey has a black cord and canopy.